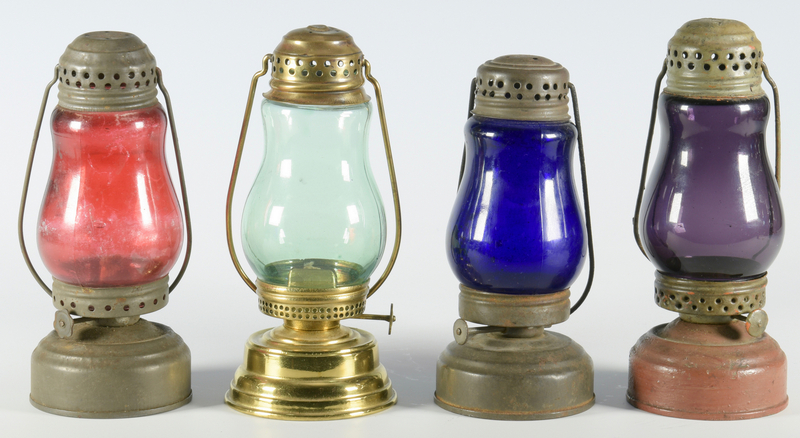 Group of seven (7) skater's lanterns in assorted colors including one light blue, one indigo, one purple, one red, one light green, and two clear globes, tin and brass metal. 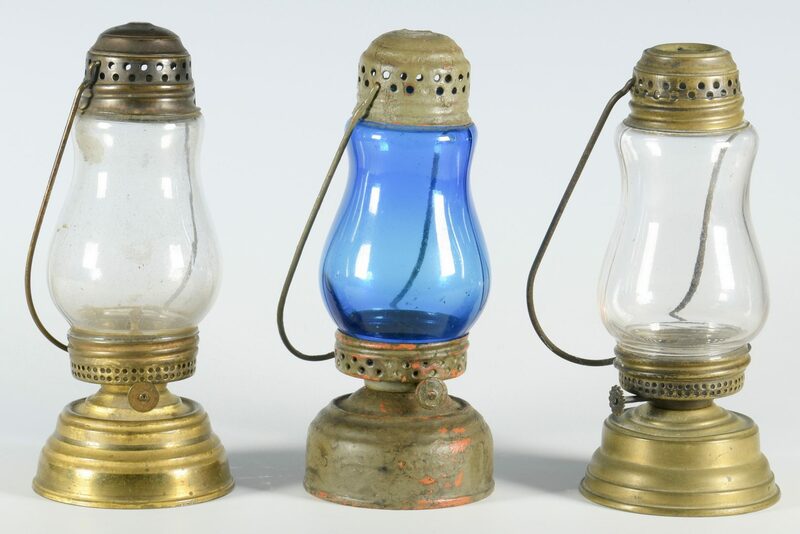 Perforated cap, two larger lanterns with bail handles, and lower burner reservoir. Purple lantern stamped "JEWEL" top of cap. Other six lanterns unmarked. Height of tallest lantern – 7 1/4". Height of smallest lantern – 6 3/8". Late 19th/early 20th century. Estate of J.D. and Jane Vandercook, Hendersonville, TN. CONDITION: Expected oxidation to metal. Indentation on cap of light green lantern. Base of purple lantern painted dark red, paint chipping. Grime, interior of one clear lantern. Cap and base of light blue lantern painted brown, chipping to reveal orange paint underneath.